With just over a week until the twentieth anniversary celebrations begin at Bayfront Park in Downtown Miami, the world’s most successful international festival brand, ULTRA Worldwide, launches its incredible, state-of-the-art, industry-leading mobile application. 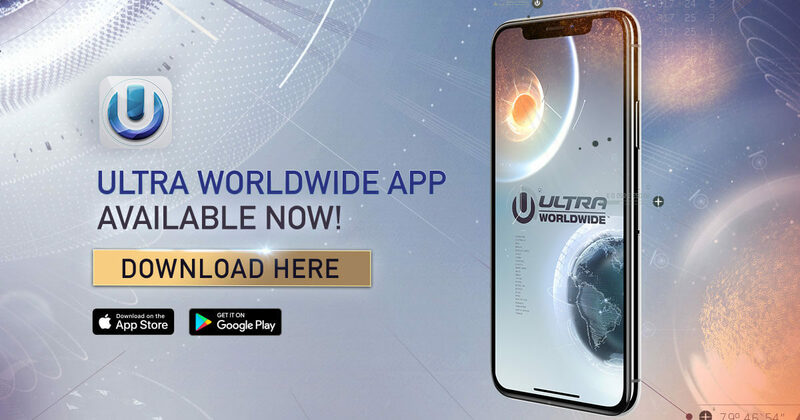 Available now via the App Store and Google Play in all territories worldwide, this pioneering platform allows Ultranauts around the globe to customize their ULTRA experiences, select favorite events, create personalized schedules, listen to ULTRA Worldwide curated playlists via Apple Music and much more. To accompany the launch, ULTRA has also announced the final wave of artists set to perform at this year’s ULTRA Music Festival in Miami, as well as stage and set time information across the weekend. Among those added to the already stacked lineup are ULTRA favorites KSHMR and Dash Berlin who will perform on the colossal Main Stage, and G-Eazy who will make his debut on the Live Stage. For full information regarding final lineup, set times and stages, download the official ULTRA Worldwide app here, where you’ll also be notified of special, unannounced artist performances in real time over the weekend!